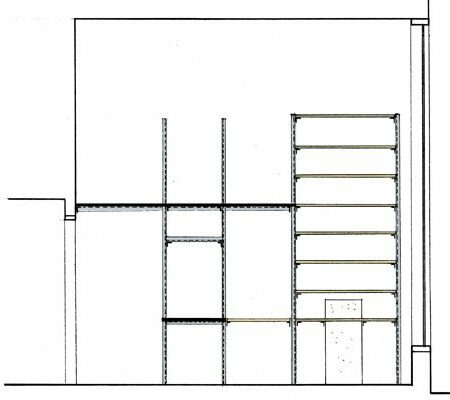 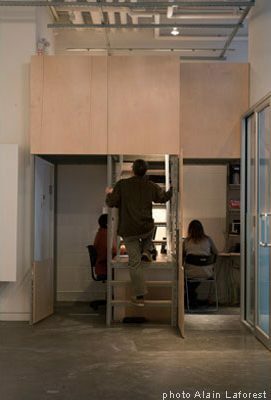 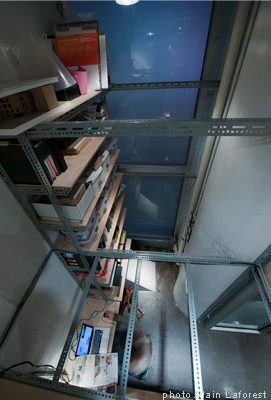 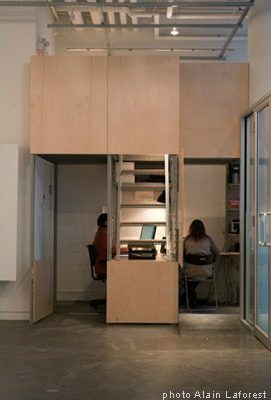 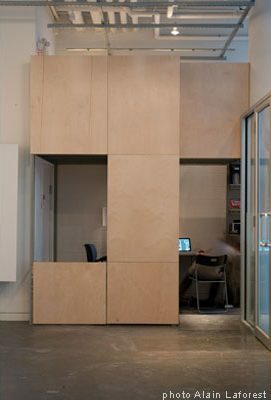 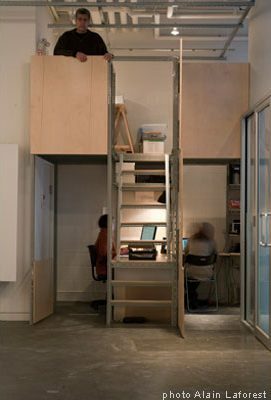 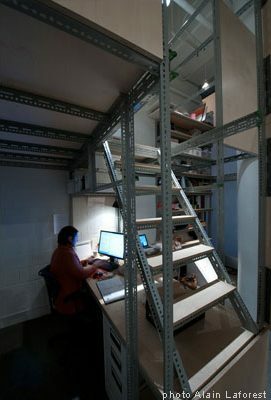 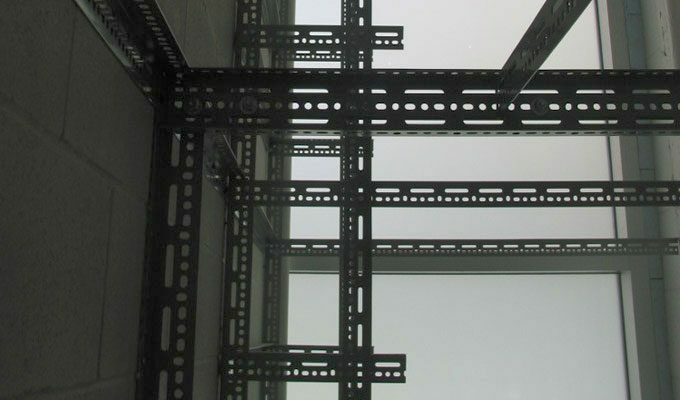 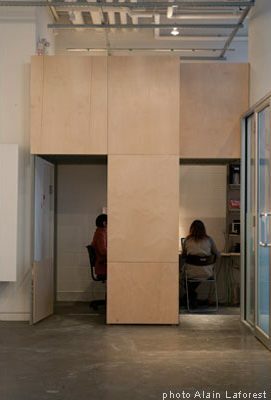 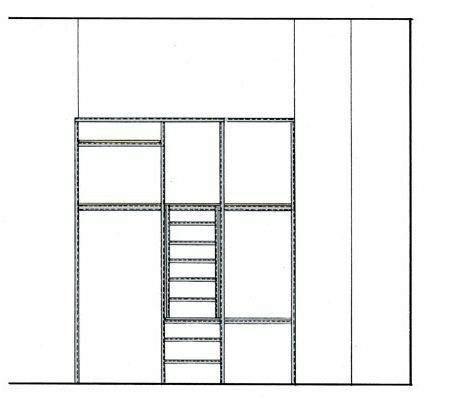 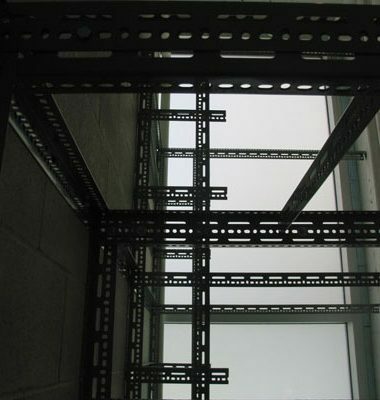 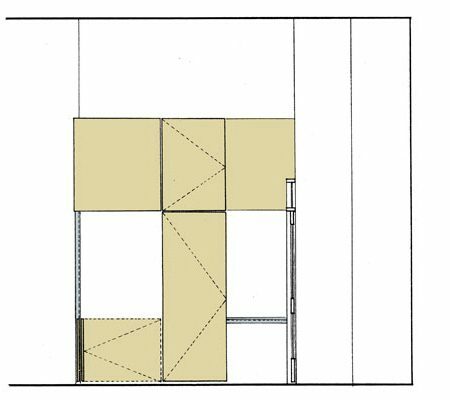 Insertion of a dense and highly compact workstation / mezzanine / storage structure into an existing gallery space, using basic construction products and materials. 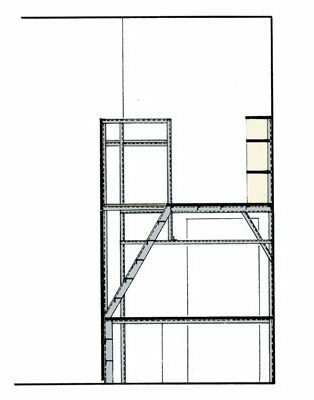 The perforated steel angles recall the framework of 20th century Constructivist experiments, early modernist towers, and playground structures. 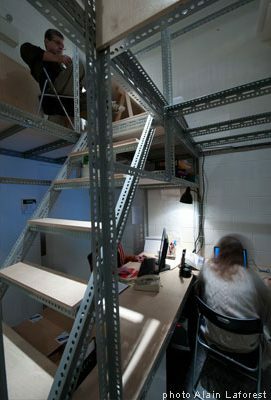 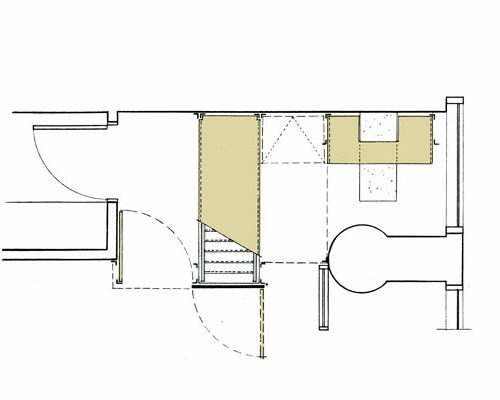 The Russian plywood panels provide fixed shelves and work surfaces, they open to reveal integral stairs and ladders, and detach & pivot to reconfigure the structure for various gallery requirements.